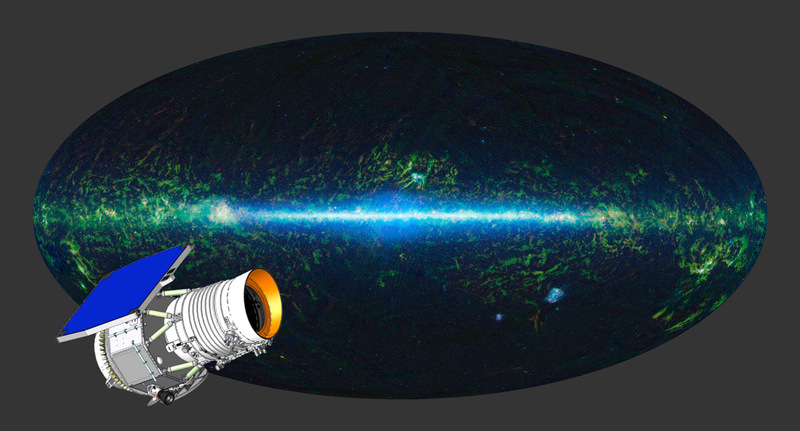 The entire sky as mapped by WISE at infrared wavelengths is shown here, with an artist's concept of the WISE satellite superimposed. With its all-sky infrared survey, NASA's Wide-field Infrared Survey Explorer, or WISE, has identified millions of quasar candidates. 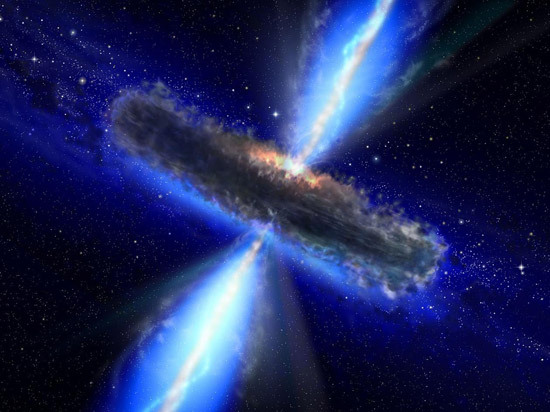 Quasars are super massive black holes with masses millions to billions times greater than our sun. 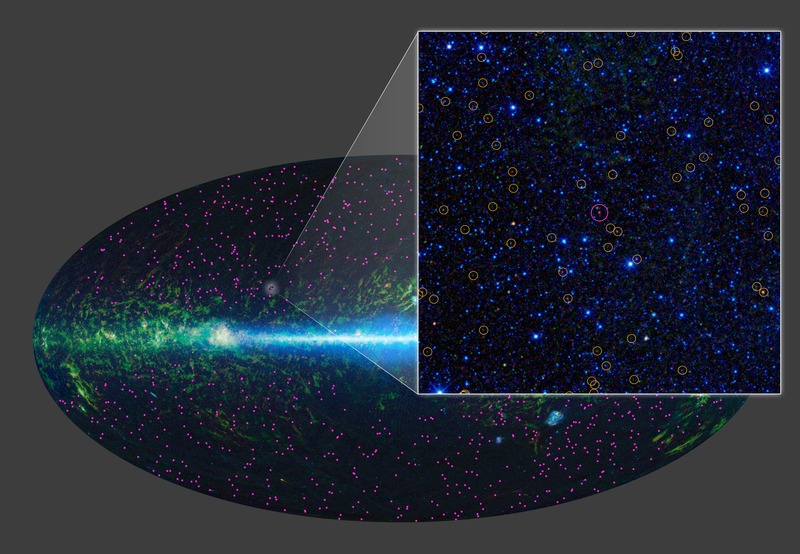 The black holes "feed" off surrounding gas and dust, pulling the material onto them. As the material falls in on the black hole, it becomes extremely hot and extremely bright. 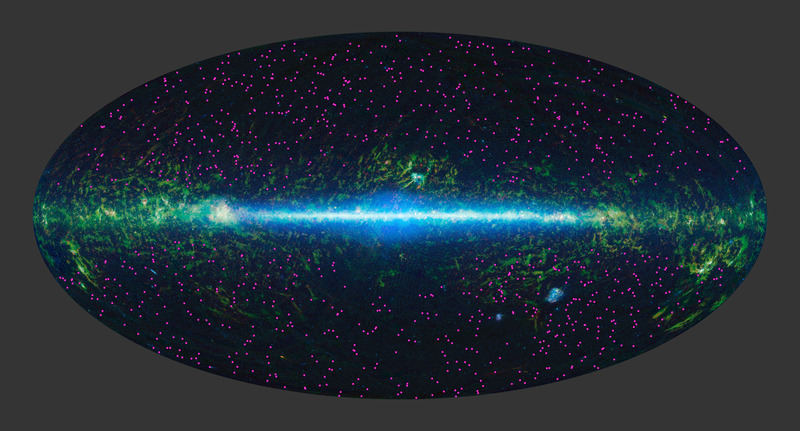 This image zooms in on one small region of the WISE sky, covering an area about three times larger than the moon. The WISE quasar candidates are highlighted with yellow circles. The circular inset images, obtained with NASA's Hubble Space Telescope, show how the new WISE quasars differ from the quasars identified in visible light. 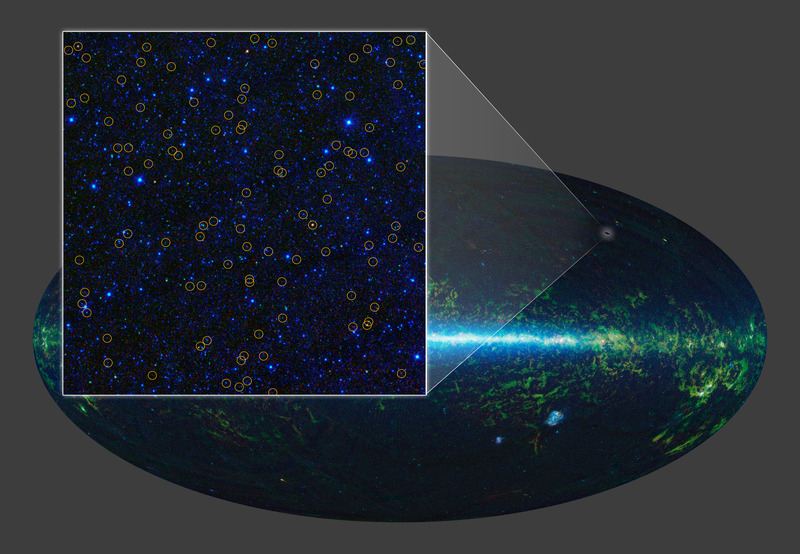 Quasars selected in visible light look like stars, as shown in the lower right inset; the cross is a diffraction pattern caused by the bright point source of light. Quasars found by WISE often have more complex appearances, as seen in the Hubble inset near the center. 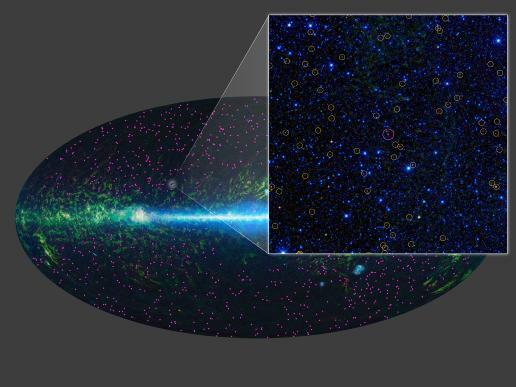 This is because the quasars found by WISE are often obscured or hidden by dust, which blocks their visible light and allows the fainter host galaxy surrounding the black hole to be seen. 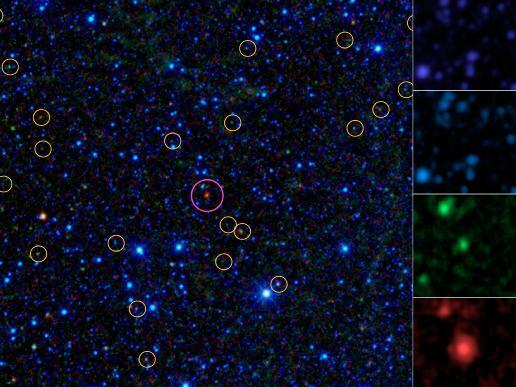 NASA's Wide-field Infrared Survey Explorer (WISE) has identified about 1,000 extremely obscured objects over the sky, as marked by the magenta symbols. 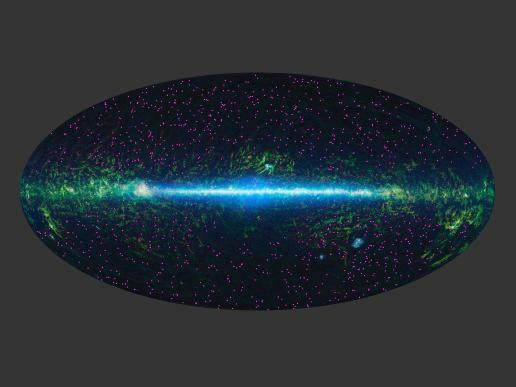 These hot dust-obscured galaxies, or "hot DOGs," are turning out to be among the most luminous, or intrinsically bright objects known, in some cases putting out over 1,000 times more energy than our Milky Way galaxy. 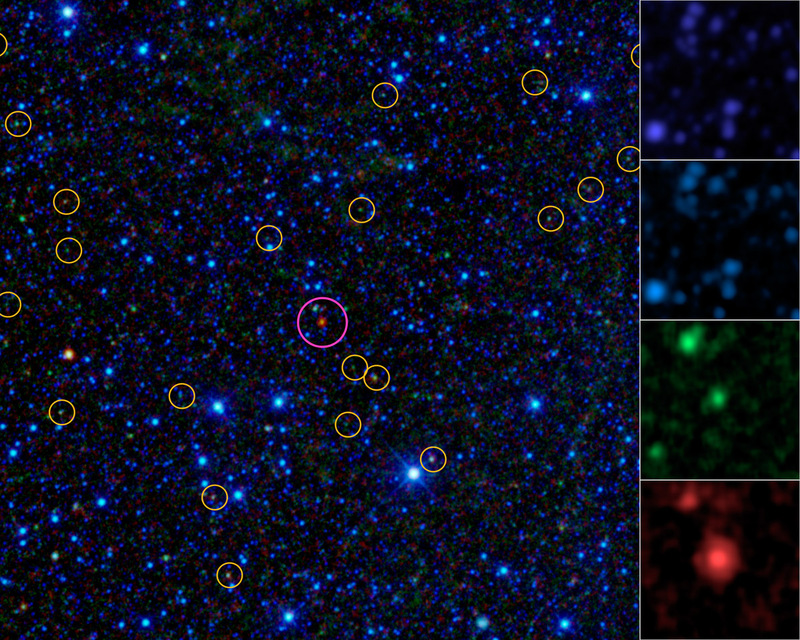 WISE has identified 1,000 similar candidate objects over the entire sky (magenta dots). 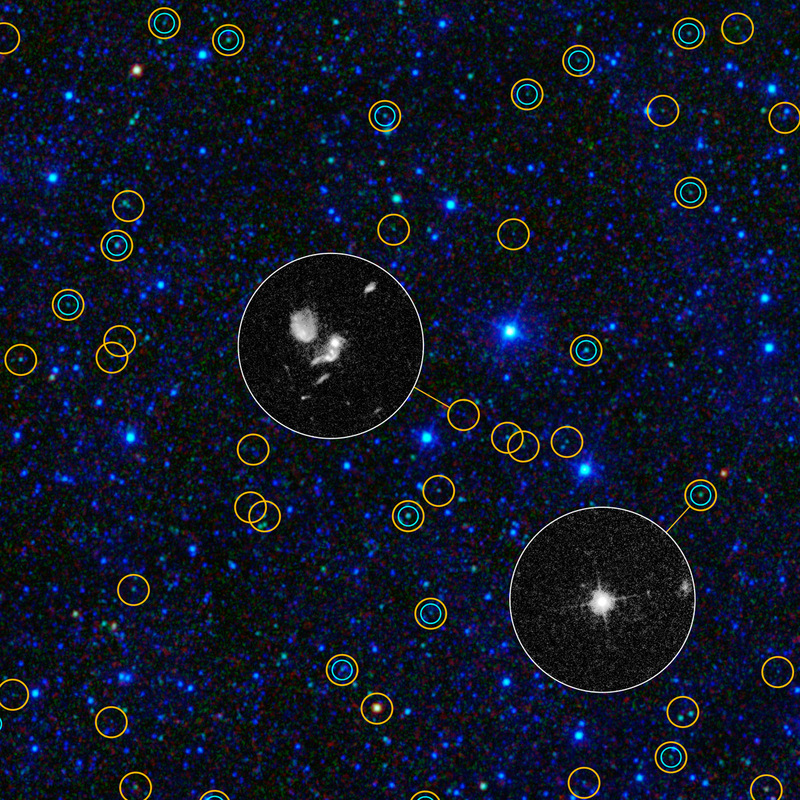 These extremely dusty, brilliant objects are much more rare than the millions of active supermassive black holes also found by WISE (yellow circles). Dust affects shorter wavelengths more than longer wavelengths. 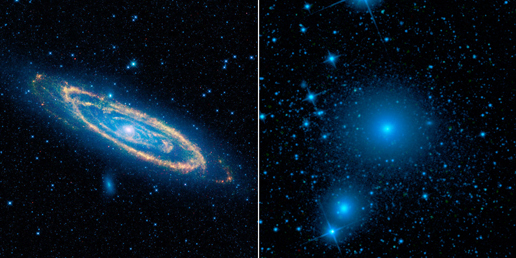 These objects are so dusty that not only their visible light but also their shorter-wavelength infrared light is blocked, as evident by their apparent absence in the top two panels. 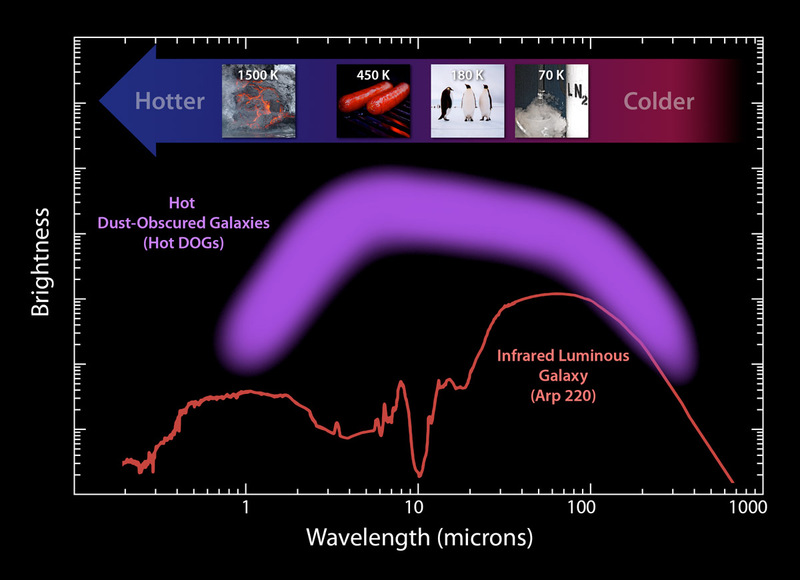 Less than one in 100,000 WISE sources are similarly prominent only in the two longer-wavelength WISE infrared bands. 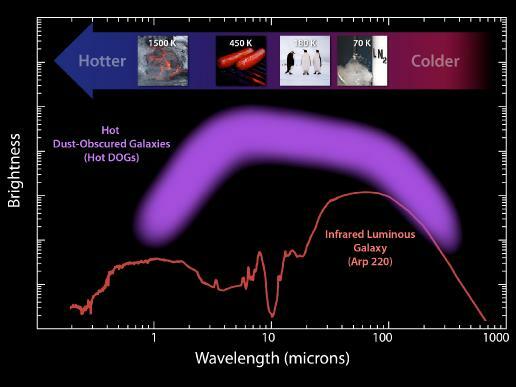 The extreme WISE objects represented by the purple band are much brighter -- and peak at much shorter, or hotter, wavelengths -- than the typical infrared luminous galaxy, hence their nickname: hot dust-obscured galaxies, or Hot DOGs. This simulation, which represents a few billion years of evolution, shows two disk galaxies interacting in a graceful gravitational dance.